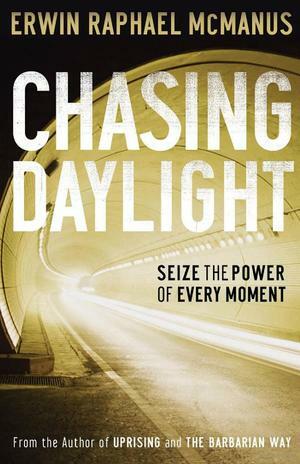 Chasing Daylight (previously published as Seizing Your Devine Moment) is a call to live a life of blazing urgency. We have but one life. We are given one opportunity to pursue our dreams and fulfill our divine purpose. Every moment counts, and we must engage them with fierceness and zeal. Put an end to passive observation, paralyzed by the need for perfect opportunity, and start seizing the raw, untapped potential of your life with God. Are you willing to risk failure? Are you ready to get in the game? You may stumble, but you will find yourself falling forward, propelled toward the God-inspired adventure He intends you to live.